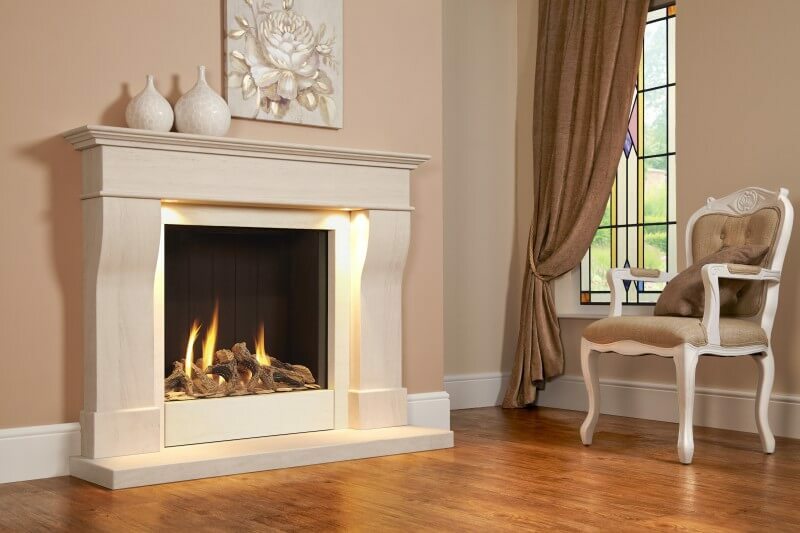 The Da Vinci Illumia Suite from The Collection by Michael Miller is available as a conventional flue model, suitable for installation into any standard brick chimney or pre-fabricated flue with a maximum heat output of 4.8kW. Don’t have a standard chimney or flue? 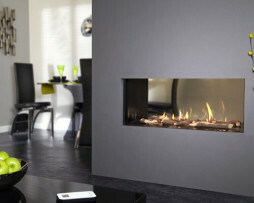 A balanced flue model with an incredible 83% (net) efficiency is also available. 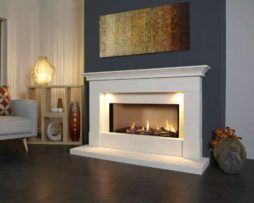 Both models feature decorative halogen lights and our multi-functional remote control system with thermostatic and timer functions. When you recover your new surround there may be some colour variations. This is typical of limestone and travertine as the stone is a particularly porous material which absorbs moisture during manufacture and deep sea transport in the container. After 2-3 weeks in a room with an average temperature, the surround will dry to a consistent colour. 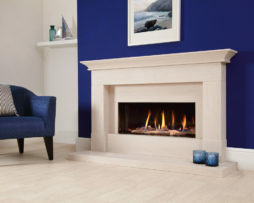 For more information and prices call the Fireplace Studio showroom on 01484 402336 alternatively fill in the product inquiry form.